It’s been a year since the Raspberry Pi Foundation released the Raspberry Pi 2, and it looks like the company is preparing to launch the third version of its Model B microcomputer. On February 26, 2016, submitted paperwork to the FCC (Federal Communications Commission) for approval of a new model of the Raspberry Pi. 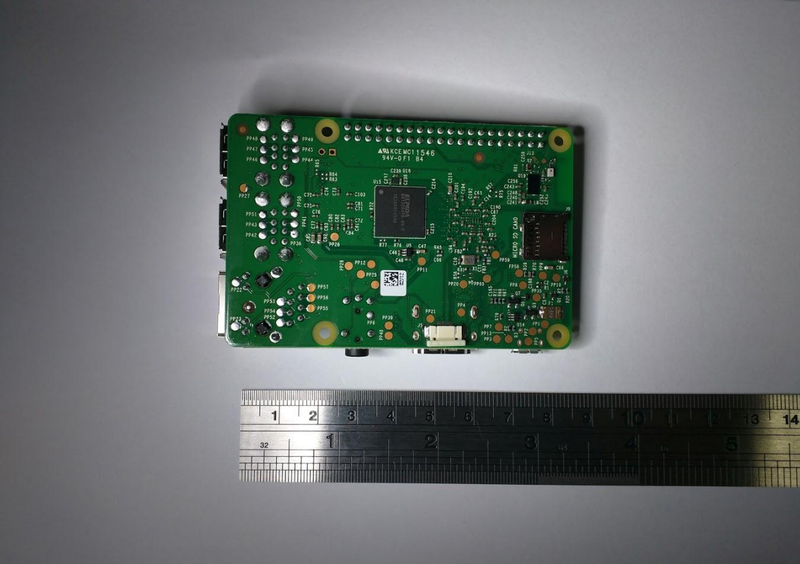 In the image above you can see that the board’s silkscreen says “Raspberry Pi 3 Model B V1.2”. From the documents found on the FCC website, the new Raspberry Pi 3 will feature onboard Bluetooth LE, as well as WiFi. Judging from this document, the WiFi and Bluetooth LE radios are built into the Broadcom processor, and are not separate chips. 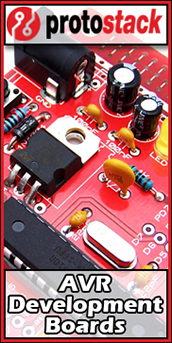 In the two images below, you can see a clear reference to the board’s Bluetooth and WiFi connectivity. 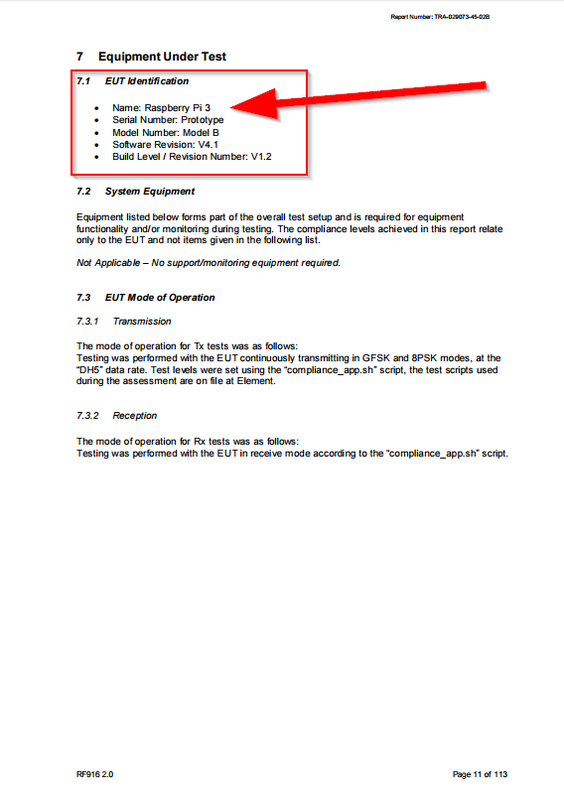 In this image, the testing facility uses the term EUT (Equipment Under Test) as a standard for the hardware its testing. 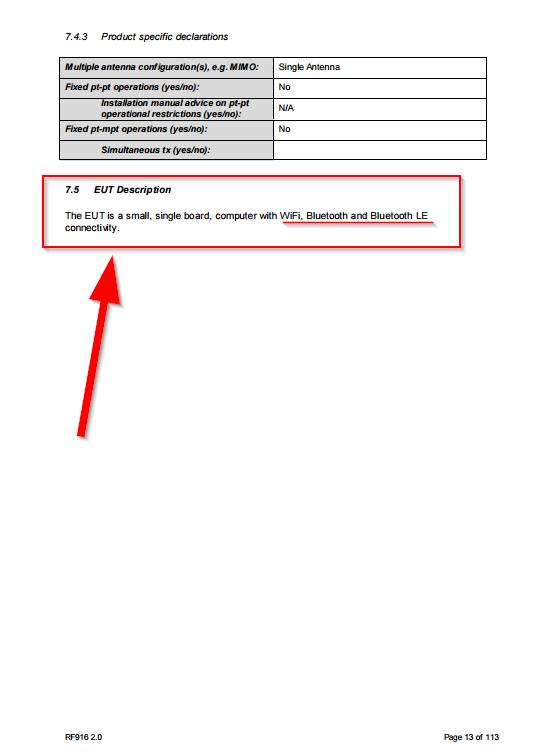 Here the EUT is defined at a Prototype Raspberry Pi 3, Model B. It is running software V 4.3 which is two revisions above the current version of Raspbian. Moving forward a few pages, we can see that under section 7.5, the EUT Description list the device as a “small, single board, computer with WiFi, Bluetooth, and Bluetooth LE connectivity.” That is all the proof in the world that the next Raspberry Pi will feature the wireless connectivity that its users have been asking for for years now. Another interesting addition to the Raspberry Pi 3 is the inclusion of plated through holes just under the top right hand mounting hole in the image above. The silk screen says these holes are for “Run” but it’s still unclear exactly what “Run” is. Im guessing it’s a return of through holes for DIY power switch additions. If you want to check out the full filing, head over the the FCC’s page for FCC ID 2ABCB-RPI32. No leaks have appeared with a release day as of yet, but with this filing popping up on the FCC website, a release is imminent. From the images above, most of the hardware appears unchanged, and that means that this addition of WiFi and Bluetooth LE could not affect the $35 price tag much.At high volumes, this should only add $1.00 to $1.50 per chip, which means that the Raspberry Pi Foundation would need to upcharge about $6 to maintain the same margin percentage on the board. My bet is that it will either remain at $35 and the RPi Foundation eats the cost, or they raise the price per board somewhere between $35 and $40. 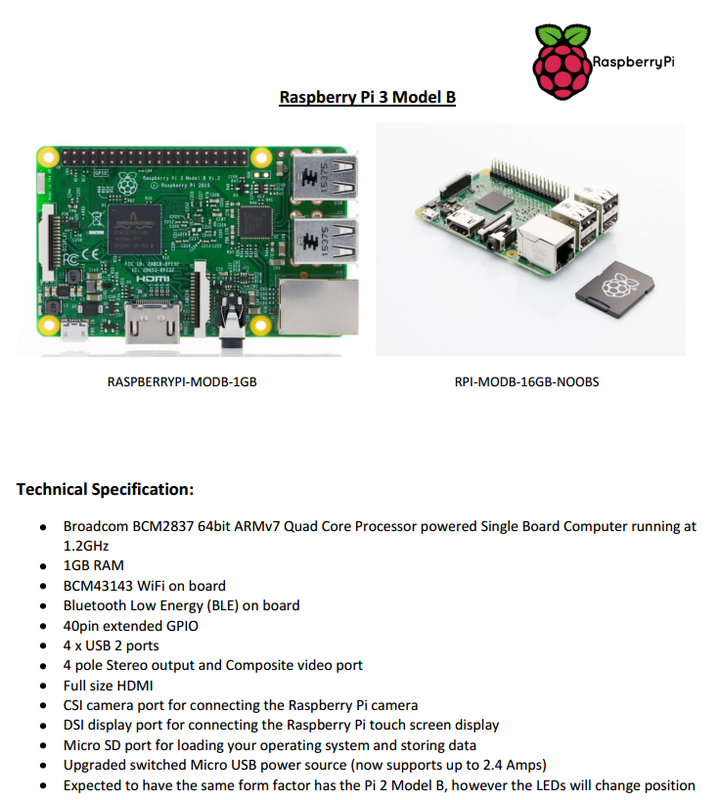 A reddit user dug up the official Raspberry Pi 3 spec sheet at Farnell.com further confirming the board will feature Bluetooth Low Energy and WiFi. Another Reddit user has spotted the Raspberry Pi 3 listed in an electronics catalog which shows the board retailing for £26.38 which puts it at just about $35USD, so this confirms my suspicion that the Raspberry Pi Foundation would just eat the added cost of the wireless connectivity. 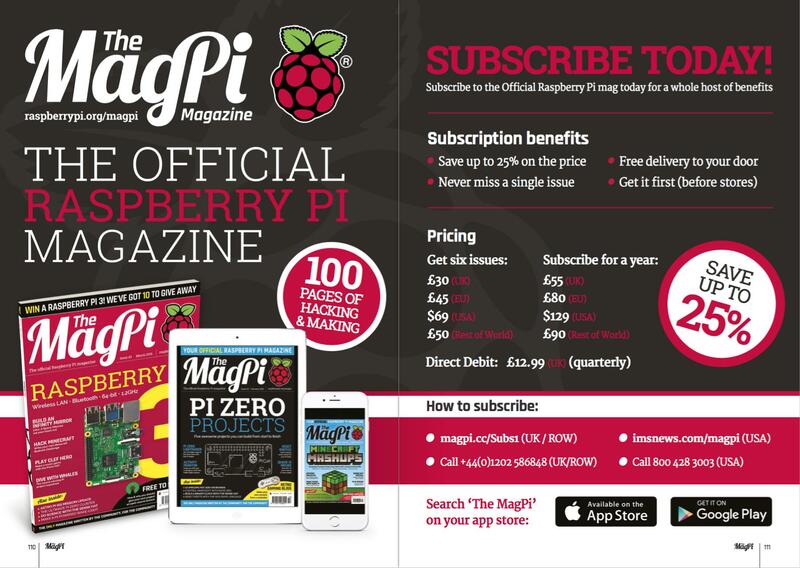 Users from a dutch hardware tweaking website have spotted the cover of the next issue of the MagPi magazine which features more images of the Pi 3, and again confirms the existence of onboard BtLE and WiFi hardware. 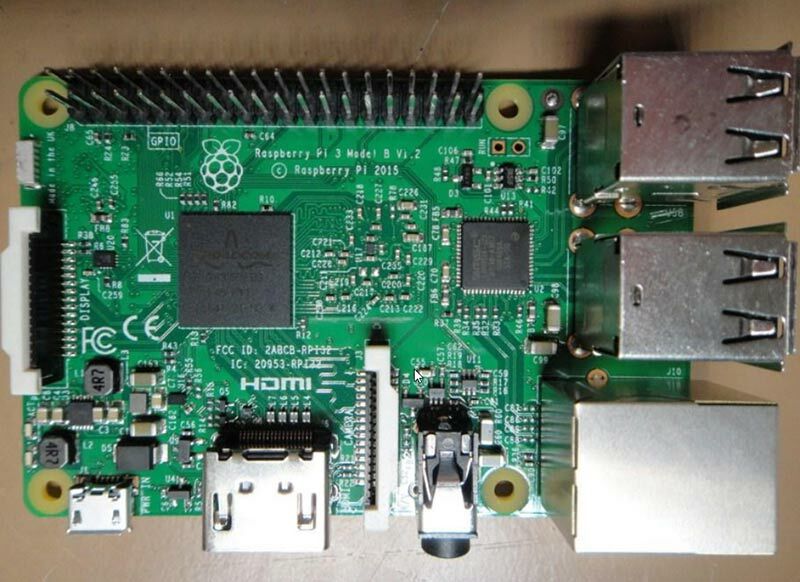 Other commenters stated that the Raspberry Pi 3 will release on Monday, February 29, 2016. Thanks for taking the time to read this exciting news about the new Raspberry Pi 3! If you have any questions, comments, or suggestions about how we could make our reviews better, please leave them below and we will be happy to respond! If you found this review helpful, or you would like to see more content like this, please consider supporting us by becoming one of our Patrons today at Patreon. Every donation counts no matter its size. Even $1 per month helps us keep the lights on, and the content flowing. Please remember to head over to our Facebook Page and leave a like, then visit our YouTube Channel, While you are there, don't forget to subscribe!